The son of radical Colombian president Santiago Pérez Manosalbas, Pérez Triana was forced into exile after a scandal involving his business ventures, fleeing over the Andes and down three rivers to the Atlantic and a new life in the United States, London, and Madrid. His marriage to the daughter of a millionaire associate of John D. Rockefeller freed him from financial worries and permitted him to focus on journalistic endeavors, including the founding of the influential journal Hispania. 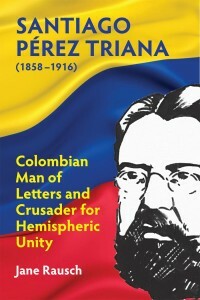 Pérez Triana seized on the movement for hemispheric unity with his support for the anti-interventionist Drago Doctrine at the 1907 Hague Convention and his spellbinding orations at the Pan-American Financial Conference in 1915. Before his death, he became a forceful advocate for the Allied cause in the First World War, cementing his status as one of Latin America’s most powerful voices on the world stage.